Martin Howell was born in March 1879 in the Wyche, Malvern. He was brought up by his maternal grandmother, Jane Harding at No 8 Belmont, Newtown, Malvern. He attended Cowleigh Mixed School until 1886. As a teenager he joined the Volunteers – being part of the 2nd Volunteer Battalion of the Worcestershire Regiment. Martin was clearly drawn to the military life, adding a year to his age and enlisting in the Worcestershire Regiment at Malvern on 24th May 1897. At this time he gave his next-of-kin as his grandmother. After two months basic training at the Regimental Depot at Norton, he was posted to the 1st Battalion. The following year he was posted to the 2nd Battalion and served in Bermuda in 1899. The 2nd Worcesters were recalled from Bermuda to fight in South Africa during the Boer War. Martin Howell served for all four years of the war and was awarded the Queens South Africa Medal (with clasps Cape Colony, Orange Free State and Transvaal) and the Kings South Africa Medal (with clasps South Africa 1901 and 1902). Martin Howell left South Africa in February 1905 and was posted to the Army Reserve. He returned to the United Kingdom and returned to civil life. On 10th July 1906 he married Susan Kathleen Oliver at Malvern Register Office. At some point after this, the couple moved to South Wales looking for work in South Wales coalfields. The 1911 Census found them lodging with another Worcestershire couple, Ernest and Lizzie Kings at 89 Queen Victoria Street, Tredegar in Monmouthshire. Here the Tredegar Iron and Coal Company operated a number of pits. On the outbreak of war, Martin was recalled to the Colours and allotted a new regimental number with the . He landed in France as a reinforcement to the Worcestershire on 20th January 1915. 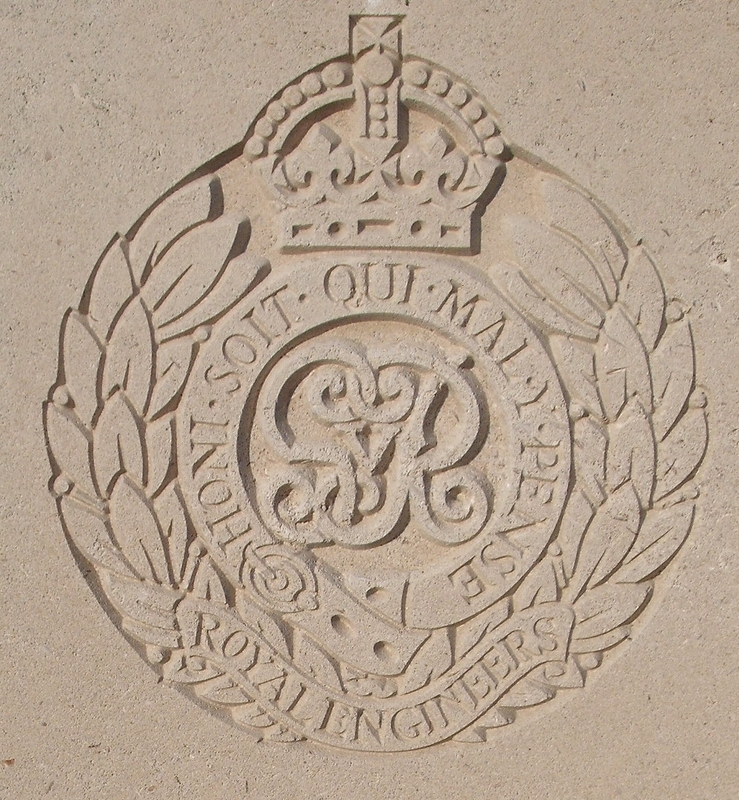 With his experience as a miner in the South Wales coalfields, he was transferred to the Royal Engineers to become part of their growing tunnelling service. He served with 170th Tunnelling Company. 170th Tunnelling Company was the first of seven tunnelling companies formed in February 1915 under John Norton-Griffiths. The nucleus of 170th Tunnelling Company consisted of civilian sewer-workers from Manchester who had been employed in Norton-Griffiths’ business and were specialists in clay-kicking, as well as former miners who had been withdrawn from a number of regular infantry units. It is likely that Martin Howell was among them. Immediately after its formation, 170th Tunnelling Company was rushed to Givenchy for operations to counter enemy mining activity in that sector. 170th Tunnelling Company was next deployed under the command of 2nd Division on operations near Cuinchy and against the German position known as Brick stacks near La Bassée Canal in the vicinity of Cuinchy in summer 1915. On 20th August 1915, German tunnellers exploded a charge next to a British listening gallery in No 7 shaft, sunk by 170th Company. Spr Martin Howell was killed either during the blast, or in the better underground fighting that followed. In Malvern, Martin Howell was only commemorated on the Cowleigh School Memorial (destroyed in an arson attack on the school in September 1989). A commemoration in South Wales has yet to be found.